Takeaway: Safety is the responsibility of all parties involved in a job, not just the contractor. Many are surprised to learn that contracting out work, and such steps as contractual sign-offs, do not necessarily relieve an owner of responsibility for worker safety or of legal liability. Those of us who are not lawyers, or fully versed in the intricacies of law, tend to think of a contract as having full legal effect. Yet, under occupational health and safety laws in many North American jurisdictions, nothing could be further from the truth. A program that's considered proper and sufficient for contracting must contain a number of consistent elements. Contractor safety programs and practices must reflect knowledge of the legal requirements. A written contractor safety program must start by recognizing the legal concepts applicable to contracting, and the concepts that have become entrenched in health and safety decision making by courts as constituting due diligence. A contractor safety program must recognize and distinguish between situations where a hands-on due diligence strategy is required when contracting, and where a hands-off strategy may be used when contracting with a party such as a prime contractor or constructor. In addition to knowledge of the law, employers and contracted parties must take reasonable steps to assess all potential workplace hazards. 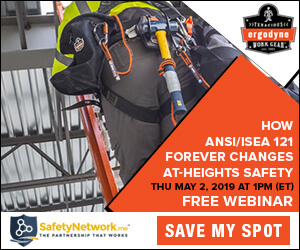 This involves an ongoing and active assessment of hazards, particularly in situations of ongoing change such as construction projects or where multiple contractors are present and intermingling or where the workplace environment is not familiar. This is crucial in order for contractors to be informed of workplace hazards. A fundamental requirement of due diligence is the need to establish a detailed and functioning safety system. Monitoring of compliance by contractors must be undertaken in a contracting situation. Monitoring should increase depending on the nature of the risk and any indication of compliance problems. Any non-compliance with the work site owner’s policies or the contractor’s own policies must result in warnings and, if necessary, removal of the contractor from the site. What do you think? Do you think that owners can delegate safety on large construction sites or only to a certain extent?